This month really has flown by and all I have to show for it is nothing, nada, zero, zilch. Well, you see what I mean! 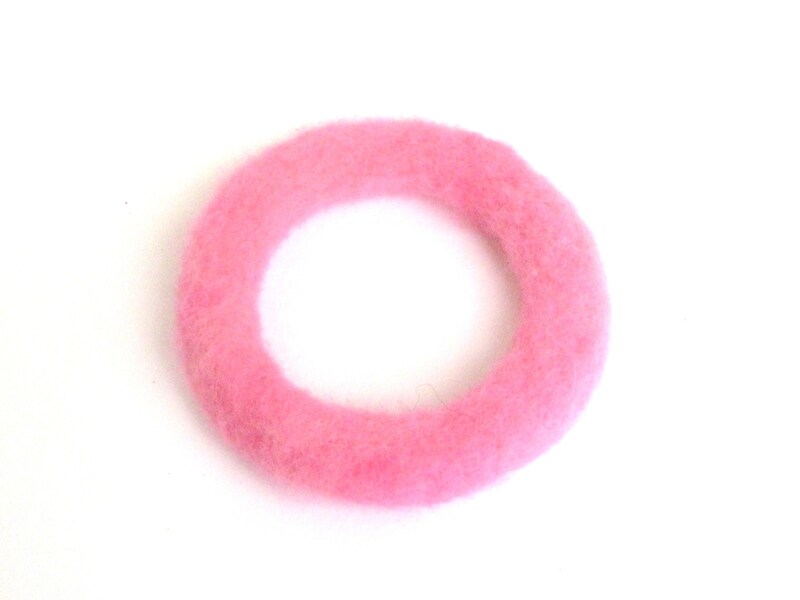 The felting project for this month happened to be a ring, a zero, the letter O, a play bracelet, etc. Originally I thought that I would make a felted chain and this would be the first link. However, this one pink felted link took me over an hour to complete! Perhaps one day I will tackle this idea, but May was simply not the month to do it. May begins with my eldest daughter’s birthday and ends with my youngest daughter’s birthday. As a result, May is a very fun, yet busy month. I’m pretty happy that I even managed to squeeze in this one felting project. Next month is free and clear, and I’m looking forward to a bit more time for felting.